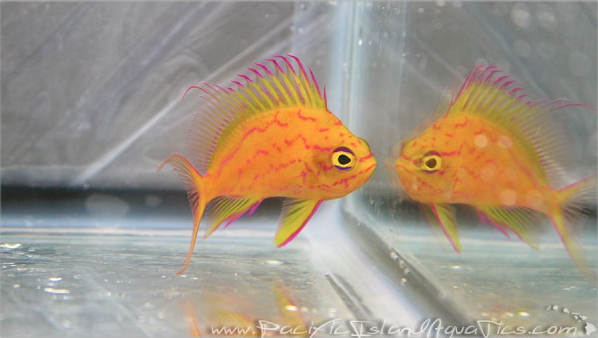 What better way to celebrate a Friday than to show off images of one of the rarest and most beautiful of the Hawaiian endemics, the Yellow Anthias (Holanthias fuscipennis). This amazing anthias species is found at extreme depths, which usually surpass 400 feet, and its appearance in the hobby is borderline nonexistent because of this. 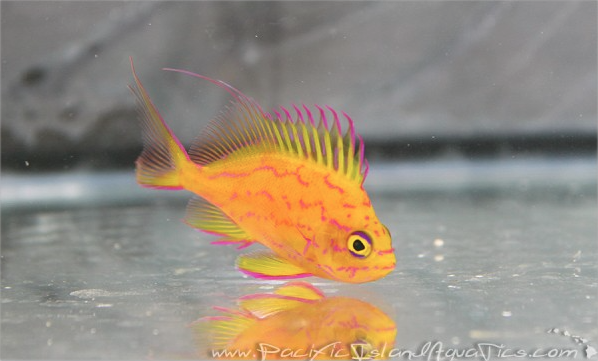 Thanks to Pacific Island Aquatics, however, this super rare fish is making yet another appearance as they have recently listed a small female on their website. 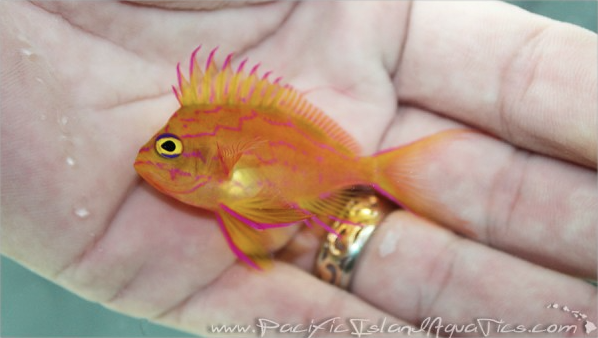 The two and a quarter inch anthias is listed for $3K, a price that reflects both its beauty and rarity. The yellow anthias is very similar in appearance to the blotchy anthias (H. borbonius), but obviously the color palette is far more striking. Its yellow body is adorned with broken red stripes and its fins are tipped in purple. This anthias is amazing and we’re happy to see it finding its way into the hobby once again.